*Open annually on Monday, Martin Luther King, Jr. Day as AVAM’s celebration of all of life’s possibilities! Free admission & special programming for all! Children 6 and under: FREE! Be Prepared to see things that will surprise you! The museum is made up of work created by people with no formal training. I have tried to stress that there is a place for everyone in the art world. 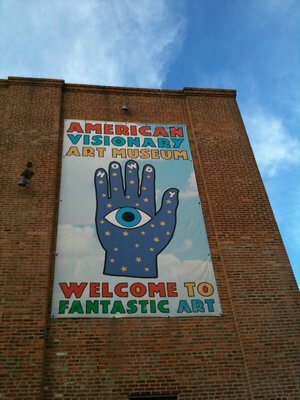 The Visionary museum really creates an inviting museum for everyone. There are no cameras allowed in the museum but, there is nothing wrong with some mystery from time to time. I promise that you will love it within the museum. The neighborhood is ideal for a day trip I promise you will not be sorry you went. The employees are great and the museum is easy to travel. This is a perfect place for all ages and all levels of art enthusiasm. 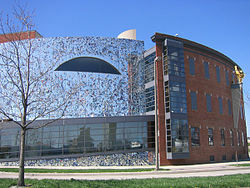 Mr. Rain’s Fun House is a restaurant within the museum. I would say it is mandatory to visit while you are there. The food is delicious and there is also outdoor seating for warmer weather. I highly recommend putting this on your list of things to do while you are in Baltimore.